John and the Missus is the story of one man’s passionate attempt to fight for the land he loves and the way of life he believes in. Set against the rugged beauty of Newfoundland’s coastal landscape, this romantic drama unfolds during the early sixties when the future of an isolated mining community is threatened by the government’s planned resettlement program. 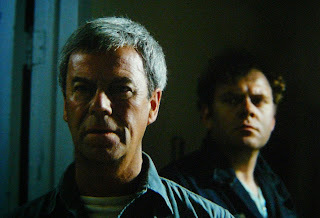 When a cave-in at the Cup Cove copper mine gives a government representative the opportunity to permanently close the mine – and, by extension, the town – John (Gordon Pinsent) fights back to save the mine and the town he loves. This struggle tests not only the deep love that John and the Missus (Jackie Burroughs) have for each other and their family, but John’s own sense of self. When resistance proves futile and everyone around him has given in, he literally uproots his house and sails away. 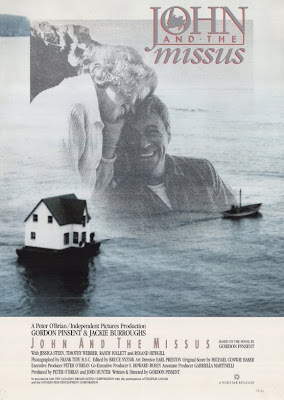 John and the Missus was clearly a labour of love for Gordon Pinsent, who directed and stars in the film and adapted the screenplay from his own novel. In many ways, it is a companion piece to Peter Carter’s The Rowdyman (1972). Also written by and starring Pinsent, The Rowdyman focuses on a young rabble-rouser who stirs up trouble in his Newfoundland village, while John and the Missus depicts the importance and sanctity of community to a more mature and wiser man. 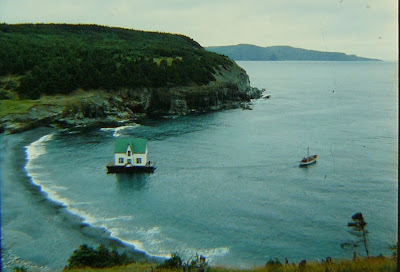 A sentimental look back to a time when small Newfoundland communities were a way of life to be treasured, the film was nominated for six Genie Awards and won for Leading Actor (Pinsent) and Music Score (Michael Conway-Baker).